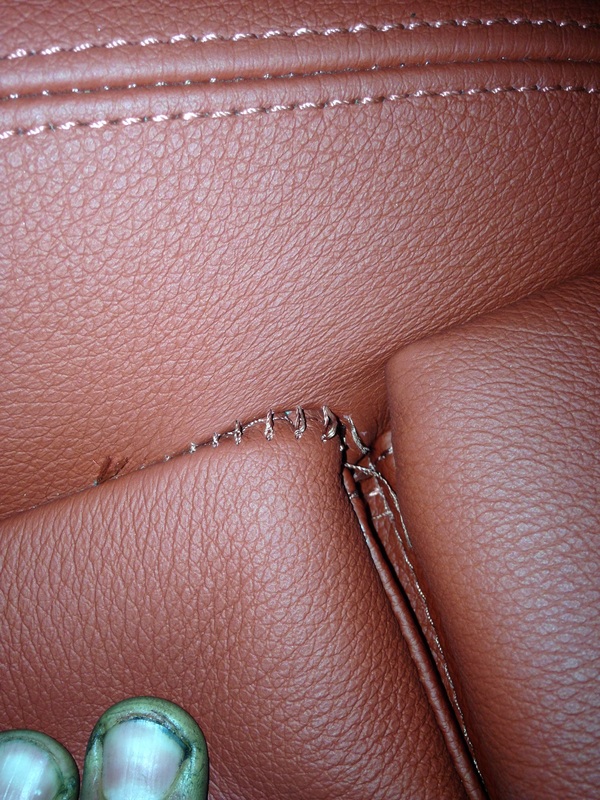 This is a 428 2015,,,,the passengers front seat,,,,notice the stitching is coming apart,,,,if the stitching is coming apart,,,BMW has no problem replacing the leather seat cover,,,,if the stitching is cut or is pulled out,,,,then we have to get permission from BMW to replace the seat cover. This entry was posted in Uncategorized and tagged seat, stitching. Bookmark the permalink.